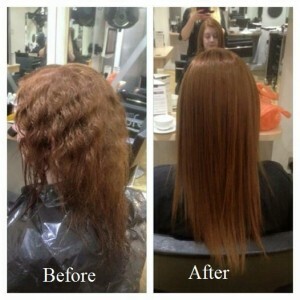 Ionic Permanent Hair Straightening – Correct Frizz & Curly Hair. The Ionic permanent hair straightening treatment has been developed to not only straighten but also improve the manageability of many types of hair such as naturally curly and frizzy hair, dehydrated, damaged and coarse hair and hair that is lacking in vitality. 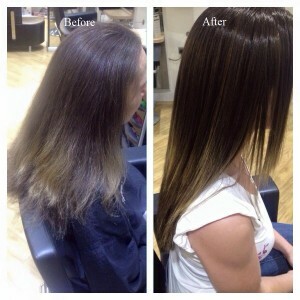 Ionic Hair Retexturising is not just a hair straightening or a hair perming system. IHR gives excellent hair straightening without damaging the hair. In fact, the very specific ionizing technology will actually improve the texture and condition of treated hair. Yuko was probably the first hair straightening system in the UK, but it is not great for use on coloured hair and people often talked of their hair feeling stiff after the straightening treatment. The Ionic hair straightening system incorporates a protector. This means that it is usually safe to use for straightening coloured and highlighted hair (excluding bleach highlights). In feedback from our clients, we are also told that Ionic treated hair feels very natural and soft. What is Ionic Hair Retexturising treatment (IHR)? Positive and negative ions are small particles that gather around an object and exist in most substances. By restructuring the ion clusters of water, IHR allows water molecules to penetrate the core of each individual hair. 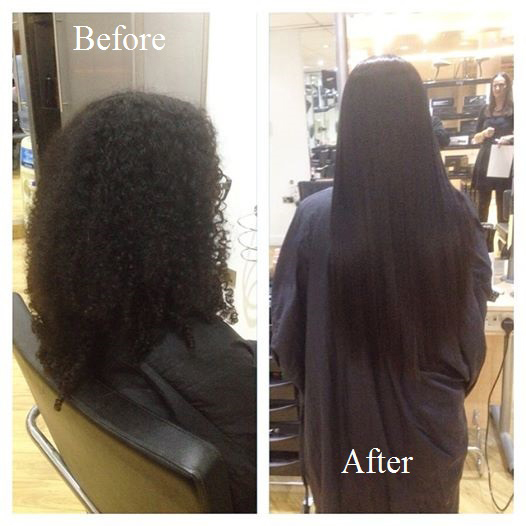 Thus each IHR treatment rehydrates and conditions the hair during the straightening process. What are the results of IHR? Why has Ionic Hair Retexturising becoming so popular? 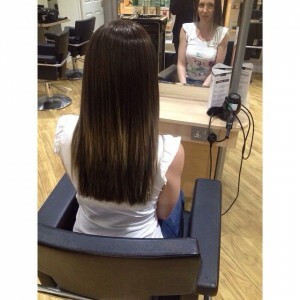 Fabulous hair straightening results for all types of hair. None of the hair damage that can occur with other hair straightening techniques. After treatment, hair requires absolutely minimum maintenance. A simple speedy blow dry after washing is all that you need to do to maintain your style. IHR leaves your hair full of vitality and strength, feeling soft and natural. Do not shampoo for 3 days after the process. For post treatment, we hold in the salon a range of specialist shampoo, conditioner and finishers. Each treatment lasts for 4 – 6 months. Easy Access from Liverpool, Manchester, Preston, St Helens, Bolton, Warrington, London, Birmingham, Glasgow. Trimmers is located in the Concourse Shopping Centre in Skelmersdale, just off the M58 Motorway. So we are easy to find from Liverpool & St Helens from the A580, from Manchester by the M62, Warrington & Preston from the M6. Up Holland station is close by, if you prefer to take the train from Liverpool, Wigan, Preston, St Helens or Blackpool. Please call us and we can give you a local taxi number to meet you for the 5 minute journey. Some of our clients for the Ionic Hair Straightening come from much further afield, with two ladies visiting us from Malaga, Spain! We are a twenty minute taxi ride from Wigan station. The Glasgow to London main line trains stop at Wigan, which is now only a 2 hour journey from London Euston. For a local map of the salon please click here.